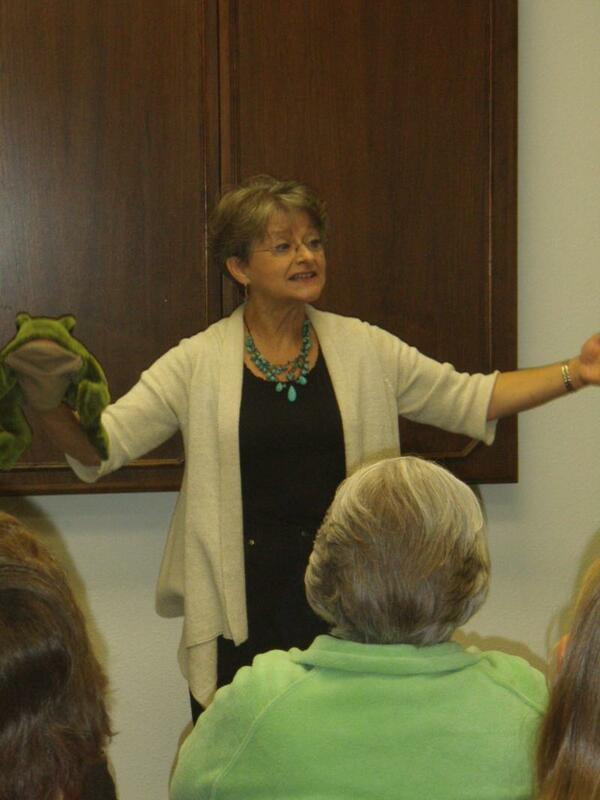 Terry has conducted workshops for teachers, children, and adults on a wide range of subjects. She is available for small groups or groups of several hundred. Workshops are listed below by audience type. Other topics for workshops, keynotes, and speeches can be tailor-made for your specific needs. Hook Your Students with the World's Oldest Profession - Want to capture your students' attention, help them remember a topic, and pass the standardized tests? By using story in all areas of the curriculum, you can accomplish it all. Story to Writing, a Natural Connection - Not satisfied with your students' writing? Use storytelling techniques to help your students want to write and to improve their writing skills. Beginning Storytelling for Teachers - You, too, can become a storyteller and bring the power of story to your classroom. Life is a Chain of Stories: Create Your Links - A workshop to help form, remember, and tell your family stories. Without Story, Where Would We Be? - Learn storytelling techniques with this fun and active workshop. Once Upon a Time in the Workplace: Using Storytelling to Improve Communication in Business - People use and remember information best when it is presented in the form of a story. Examine how to use story to your company's advantage. Storytelling: Your Greatest Selling Tool - How are you reaching your customers? Are they hearing facts, but not connecting with you or remembering you? Find out how to use story effectively to impact your customers. Tell Your Company's Story - is the name of the game. Use story to show your customers what your company can do for them. Toss a Starfish into the Sea: Making a Difference with Healing Stories - Use storytelling to find just the right words; the perfect message.